Hva kan kunst tilføre reiseopplevelsen eller opplevelsen av et sted? Kan det bidra til at reisende kommer tilbake? Kan kunst gjøre noe med lokal identitet? Bildet: Dragset & Elmgreens kunstverk «Plass til fler, tid til mer» på Tranøy. Gode kunstprosjekter kan spille en rolle i stedsutvikling og reiseliv, men også fungere som sosiale møtesteder og lokale identitetsmarkører. 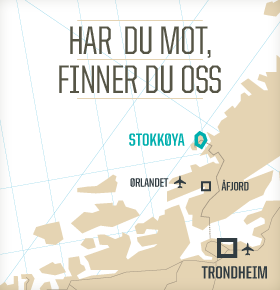 Tranøy i Nordland var bygda som kommuneplanleggerne på 1980-tallet spådde ville være avfolket i løpet av en 10-årsperiode. Aktiv innsats fra stedets innbyggere og bevisst fokusering på lokal kultur og egenart har gjort denne spådommen til skamme. Bygda og bygdas venner har siden år 2000 kollektivt løftet kunstprosjektet ”Kunstpark Tranøy”, som nå består av 13 kunstinstallasjoner, plassert i naturen på Tranøy, og hvor hvert enkelt kunstverk har sitt budskap og forteller sin historie. Flere av installasjonene er utført av kjente, internasjonale kunstnere. Kunsten er utvalgt og betalt av bygdas beboere og Tranøy-venner fra fjern og nær. Kunst som del av en reiseopplevelse gir variasjon og kan by på uventede møter. Kunst integrert i opplevelser legger opp til direkte møter og nye blikk på omgivelsene. Det kan rette fokus mot stoppunkter, historiske steder, utkikkspunkt og severdigheter. Kunst kan bidra til nytenkning om hvordan kommunene fremstår utad og fremhever egen identitet. Den kan være med aktualisere, reflektere og synliggjøre spørsmål som opptar lokalsamfunnet. Kunsten kan gripe tak i det nære, det vi tar for gitt, og få oss til å se på det med nytt blikk. Kunsten kan synliggjøre lokale historier, kunsten kan utfordre oss og skape refleksjon. I mai og juni hadde vi fire kunstnere fra Central Saint Martin på kunstneropphold på Stokkøya. I én måned levde de i vårt lille samfunn, og arbeidet med omgivelser og mennesker for å skape et kunstverk som er starten på et større kunst – og kulturprosjekt i Åfjord. We would like to begin by thanking, on behalf of the four of us, Torild and Ingrid Langklopp, Roar Svenning, and Nils Stagegaard for having so kindly hosted us for four weeks. It has been a wonderful opportunity that has been both challenging and deeply rewarding. We would also like to thank all of you who have been so warm and welcoming during our stay, and for coming here tonight. We are very proud to present our work, and we hope that you will be proud of it too. Our university, Central Saint Martins, is home to five thousand students, and it recently held its annual public exhibition of student artwork. One of the most interesting comments I heard a visitor say about the artworks was that not one of them seemed to be saying anything at all about the environment or landscape of London itself. Even before arriving in Stokkøya, Kirsten, Giselle, Mark and myself knew we’d be dealing with a new kind of challenge. We were unsure how to engage with the landscape here because of our urban roots. Humans have a long history of trying to control nature. Botanical gardens, for example, are about containing and categorising nature. Naming a plant gives us knowledge, but it also gives us control. Our first experiment here was building sandcastles. Sandcastles are one of the earliest kinds of sculpture we make as children, but they’re also about the idea of occupying and marking out territory. We wanted to respond to the Norwegian landscape, in a way that we felt it deserved, without trying to control it. We aimed instead, to do something that would work with it. We also wanted to contribute something, not just for people visiting, but for those who live here and see the landscape every day. Marcel Proust said, that the only true voyage of discovery would be, not to visit strange lands, but to possess other eyes. Is there a way we can look at the sea, the sky and the mountains here with new eyes? And how can we make that happen without something physical being present? How can we fill the space without filling it? With all this in mind, we agreed that using something immaterial was the best way for us to fill such an expansive view. We therefore decided to use music. Music has the ability to exist in any time and place. It plays in our memories, and in our imaginations. It has an immaterial flexibility. Music has a power that is relevant, not only for an individual, but also on a collective level, culturally, politically, and historically. We chose to use popular music because it is accessible, and like this landscape, timeless. Music allows us to bring whatever we want here. It allows us to fill the space in the land, and the space in our minds, simultaneously, creating a playful collision between looking and listening, between seeing and remembering, a collision between the urban and the rural, and between human history and natural history. We all decided on the song, ‘New York, New York’ by Frank Sinatra. It is a song about being optimistic, about making new plans and, most importantly, it is a song about change. It is also about sacrifice, and about broken dreams. At its most fundamental level, it is a song about the promises a particular place holds out for us. The big, brassy trumpets in the song are enormous and heavy like the mountains around us. There is a collision between two very different locations. We also liked the idea of dedicating a song to this landscape, or to play a song to this landscape, so that it might hear about a different land. It is a playful and romantic idea, which may not be logical, but is meant to be experienced. It is an idea of filling up the space with something invisible, yet immersive. About engaging all of our senses to transport us somewhere between the man-made and the natural. Neither Stokkøya, nor New York, but a new place within our imagination. “Start spreading the news. I’m leaving today. I want to be a part of it.” These are the three lines that are engraved onto the plaque outside. If you know the song, then you cannot fail to hear Frank Sinatra’s voice. It plays in your mind and you continue with the words “New York New York.” The purpose of the plaque is to activate the song in the mind of whoever reads it, and it will continue to stand there into the future. Now we would like you all to join us outside on the rocks, where we will play Frank Sinatra’s 1977 version of New York, New York out into the landscape. Thank you very much.